This week for Throwback Thursday, I want to go back to when I originally hit the level cap, way back whenever, and realized that I didn't actually know how to play. 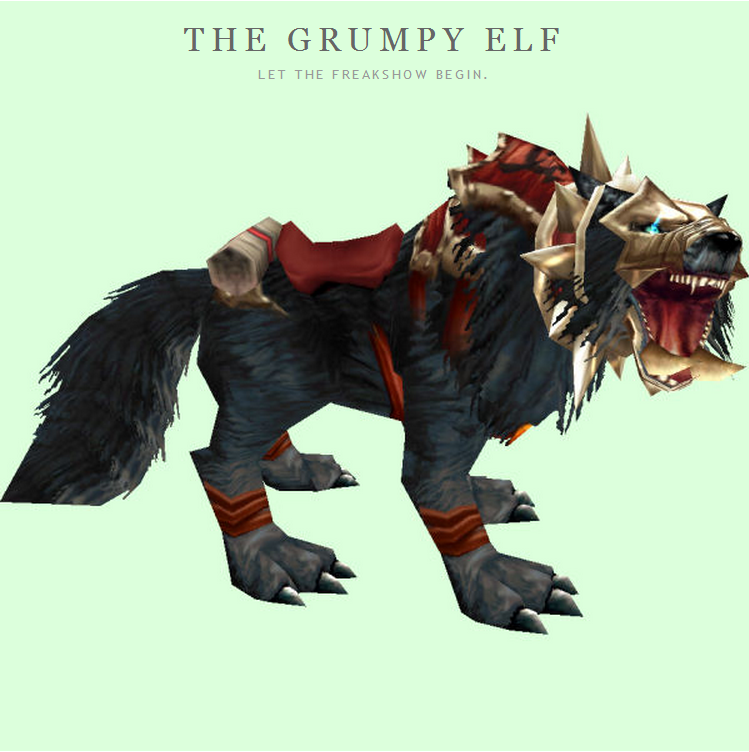 The very first hunter blog I stumbled across was The Grumpy Elf. I can't really remember what was current at the time, but in some search result, there was this article, titled Playing "Good" DPS. A lot of the specifics the grumpy elf covers here are not applicable anymore, but the theory behind it all is still exactly the same. Being a good damage dealer has little to do your DPS. "Damage Done - You should be at or near the top. Damage Taken - You should be at or near the bottom. Deaths - You should be tied for the bottom. 0 or whatever number is how many wipes there were. Dispells (if applicable) - You should be at or near the top. Interrupts (if applicable) - You should be at or near the top. Activity - Should be as close to 100% as possible. DoT Uptime (if applicable) - Should be as close to 100% as possible. CC Broken (if applicable) - Should be 0. " Especially for a hunter, in todays game while we're able to move constantly without hurting our dps, we should be at the bottom of the Damage Taken chart every single time. "Remember, a good DPS does not take damage, they only cause it. Unless you have a horrible tank or unavoidable damage only you can prevent yourself from taking damage. Try a little game that will help you up your game. Try to lead Damage Done and be last in Damage Taken on your next raid. "If you can be first in "done" and last in "taken", then, and only then, can you call yourself a Good DPS." Be sure to check out the article, and keep competing to be highest damage done, and the lowest damage taken.